YouTube, MySpace, Odeo, Flickr, Match and Facebook - all in one, customizable and under your full control. You are limited only by your imagination - not by software. 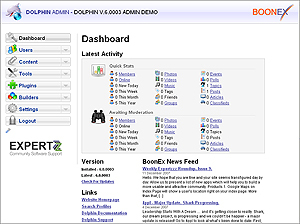 Dolphin Smart Community Builder is a universal, free, open source software that allows you to build any kind of online community. With a huge variety of features and options, you can quickly develop your very unique and successful website.